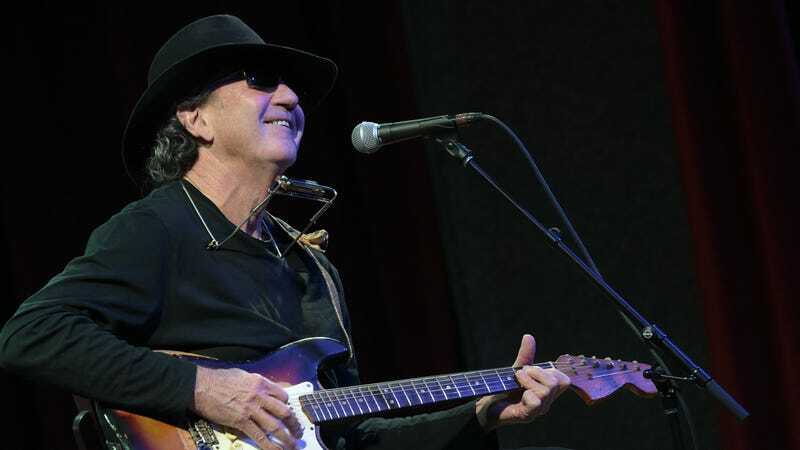 As reported by American Songwriter, musician and songwriter Tony Joe White—the writer behind “Polk Salad Annie” and “Rainy Night In Georgia”—has died. Though not necessarily a household name himself, White’s work was covered by Elvis Presley, Tina Turner, Time McGraw, Ray Charles, Kenny Chesney, and many others. White was 75. The album wasn’t a runaway hit at first, and even “Polk Salad Annie” was initially deemed a failure, but it gradually began to develop an audience and by the ‘70s it had become a fixture of Elvis Presley’s live shows. By that point, White had also released a follow-up album to Black And White called Continued that featured “Rainy Night In Georgia.” Brook Benton covered that song and took it to the top spot on Billboard’s soul charts in 1970. Earlier this year, White released Bad Mouthin’, his final album. White says he always thought of himself as a blues musician, but Bad Mouthin’ was the first time he tried to release a proper blues record.